One of Cannon Falls' staff members, Matt Montgomery takes a step into the political world as a city council representative. Politics bring out the worst in people. People wear hats, shirts, and buttons. They wave flags, make posters, and chant slogans all in support of their beliefs. Living through the 2016 election, it was easy to see how quickly situations would escalate if individuals with opposing views uttered the words “I’m with Her” or “Make America Great”. The 2018 midterm elections were somewhat different. Although arguments would occur, the number decreased based upon the idea that elected officials would be representing the population in smaller offices. Election outcomes were still very important, even when they were the Cannon Falls City Elections. Matt Montgomery, a new staff to Cannon Falls Schools, was able to clench enough votes to be elected onto city council. By looking at Montgomery’s involvement, love for the community, political stances, and fresh perspective, it’s easy to see how lucky Cannon Falls is to have him join the community. Moving to Cannon Falls in 2015, Montgomery instantly became very active in the community. He has coached several sports including soccer, tee-ball, underhand baseball, and helped with CFYAA (3rd and 4th grade boys) basketball. Off the field and court he also has been a member of the park board, the Education Foundation, and served others through Meals on Wheels. Not only does Montgomery love staying busy, he also loves Cannon Falls in general. Montgomery appreciates the “small town charm” that Cannon Falls has to offer saying, “I don’t know if you kids realize that having a cute old downtown: the winery, the river, Lake Byllesby, and the trail. There is a lot of things that this small town has going for it.” Being incredibly involved in the community and loving Cannon Falls as much as he does, it was no surprise when Montgomery got elected to City Council. On January 2nd, the new city council members, including Montgomery, were sworn in. When it comes to politics, Montgomery has a different approach. Asking him about his goals as a newly elected city council member, he replied by telling me that he doesn’t like campaign promises. “In my first year I want to do more listening. I’m not from here, but I still want to get to know the people here, and so I think the first year the goal is to do a lot of listening and see what the problems are and see what needs to be tackled,” Montgomery said. Being an education assistant and a new community member allows Montgomery to bring something new to the table. “I don’t have any local baggage. I haven’t made anyone mad, I haven’t crossed anybody, I haven’t burned any bridges, there is no family rivalry… I’m the new guy in town who is going to look at Cannon Falls wide open,” Montgomery stated. His outside perspective takes away any preconceived notions he may have about anyone in the community, putting him at an advantage to properly advocate for Cannon Falls. Politics may be ugly, but they are also beautiful. We may not see people running around wearing hats, buttons, shirts, or waving flags, but a small town election is just as important as a presidential one because they impact our futures. 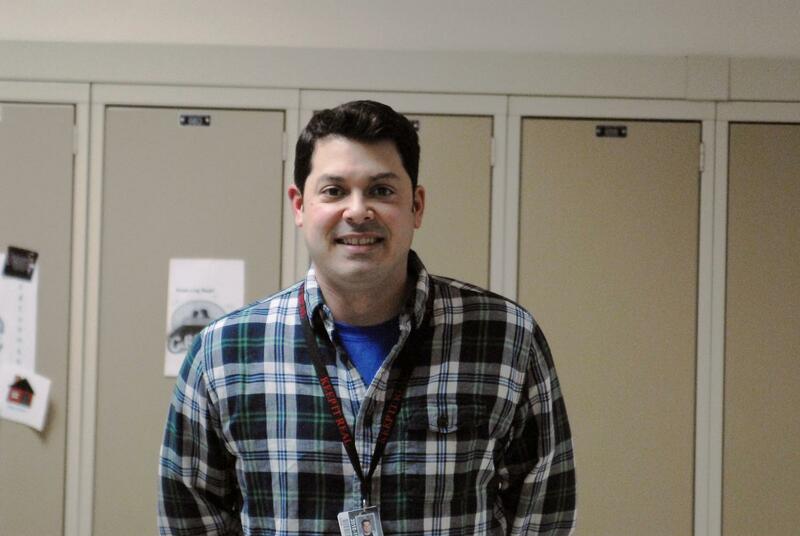 Mr. Montgomery is involved and loves all the opportunities Cannon Falls has to offer. He is not walking into city council with his own political agenda; rather he is opening his ears to listen to the community. Coming from outside the community while working in the school gives Montgomery a view that will show a whole new side to Cannon Falls. We are very lucky to have him as a new member of the CFHS staff, community, and city council. It will be exciting to see what Montgomery does in 2019.